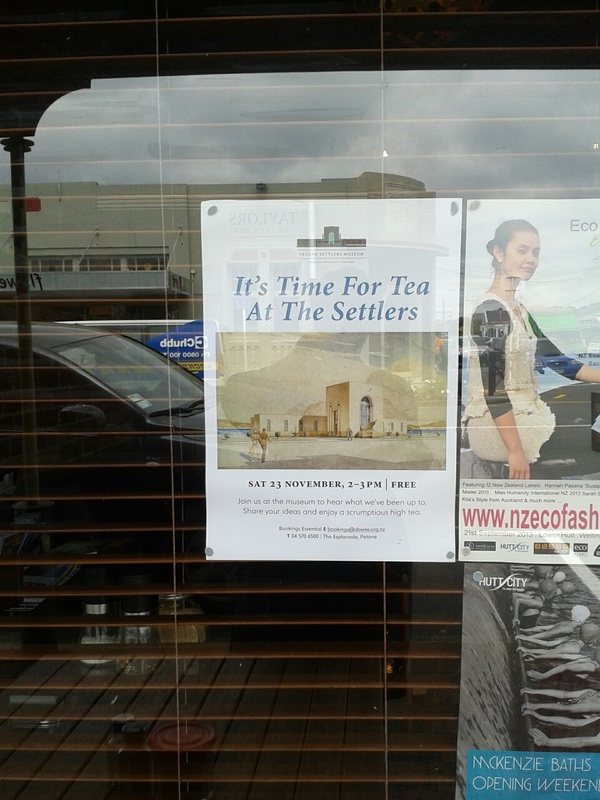 I’ve mentioned before how fond of food we are here at the Petone Settlers Museum, so it’s natural we’d think of High Tea when it comes to putting on an event. 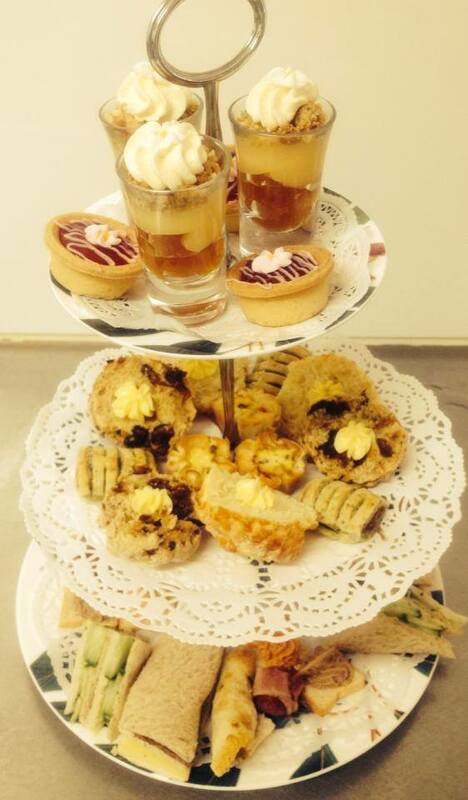 This Saturday we’re hosting afternoon tea at the Settlers, between 2 – 3pm Saturday 23rd November. We want to share our thoughts for the future direction of the Museum with you and we want to hear all about your ideas – what you like, what you would change, what stories we could be telling. 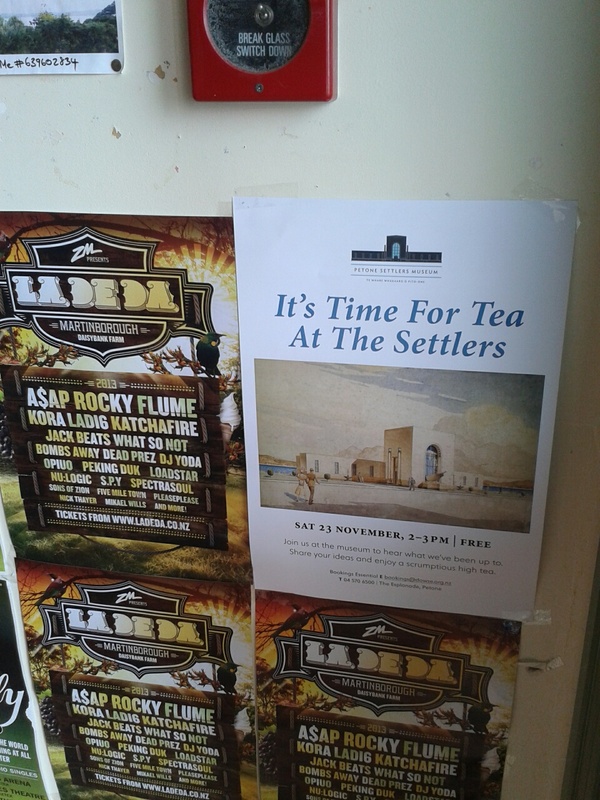 If you’ve been wandering the streets of Petone lately you’ve probably seen me putting up posters and fliers all around town. And the menu? Chicken sandwiches, Asparagus Rolls, and Cupcakes from our friends at Sweetpea Petone. Good food, good conversation, and the chance to have your say about what we do. And plenty of coffee and tea, of course. I hope you can make it along and look forward to getting to know some of you better. If you’re coming, please let us know at bookings@dowse.org.nz – so we know how many sarnies to make! 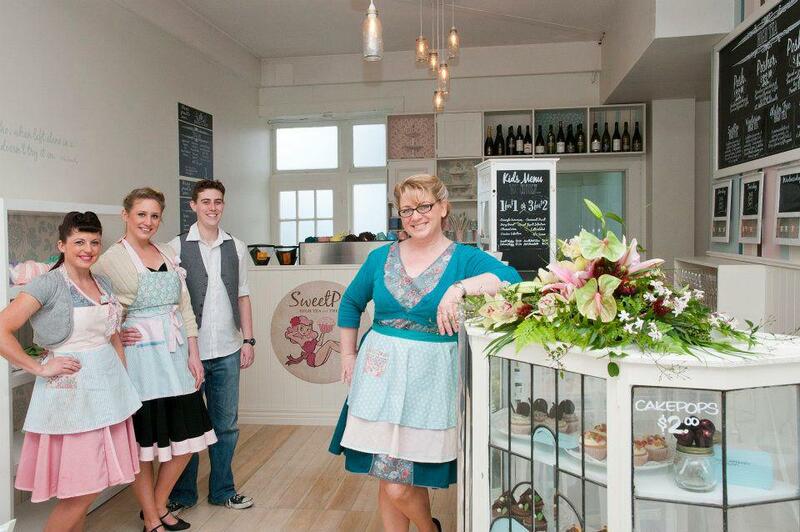 This entry was posted in PSM and tagged Cupcakes, High Tea, Museum feedback. Bookmark the permalink.